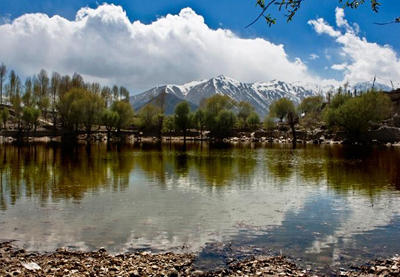 The best time to visit Nako is from April to October as its scenic beauty is at its peak. The period when winter is at its peak is best avoided as the roads stays blocked for days after snowfall. Imagine a pastured meadow amidst the gigantic mountains; in between the meadows there are beautiful willows and poplar trees, Buddhist temples a small emerald basin called Nako lake. 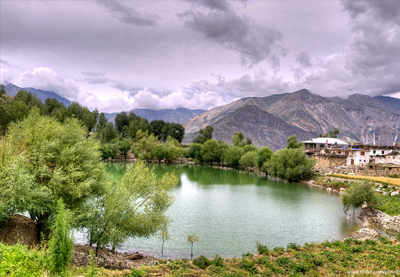 Nako Lake is a small secluded reservoir which can charm anyone with its pristine natural beauty and cultural innocence. The spiritual lake is the secret hideaway in the mystical land of the Himalaya. The lake is nestled at an elevation of 3662 m, surrounded by willow and poplar trees. Groves of willow trees surround the lake, making for a fascinating sight. 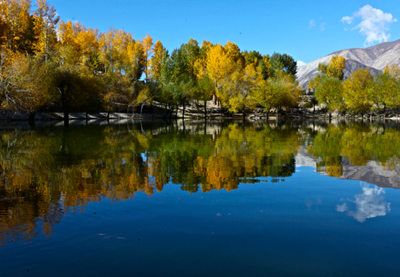 Nako lake is bounded by 4 Tibetan temples. Close to the temple, there are four caves which are believed to be the meditation site of saint Padmasambhava. These were the caves from where Guru Padmasambhava gave disclosure to his followers. There is a waterfall nearby the lake which as per legends and locals is regarded as the heavenly abode of fairies. It is also said that, it's not at all easy to find the waterfall as there is no marked trail leading to it. During the month of September, tourist can enjoy boating on the shimmering lake or relish the beauty of the enchanting mountains. 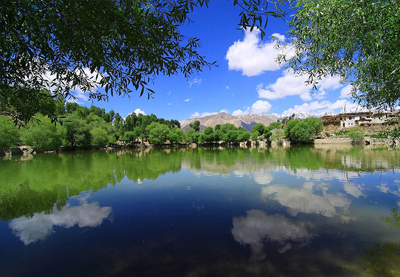 A tour to Nako Lake requires a special permission from the inner line as the place is quite close to Tibet border. 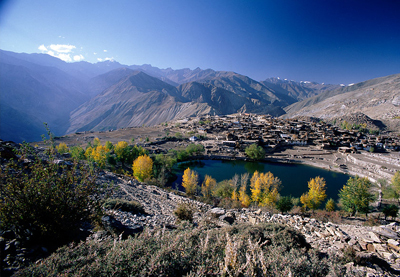 If tourist are looking for a relaxing and rejuvenating session on their tour to Himachal then Nako is a must visit site. The natural scenery all around and the view of the eternal snow are picturesque and charming. 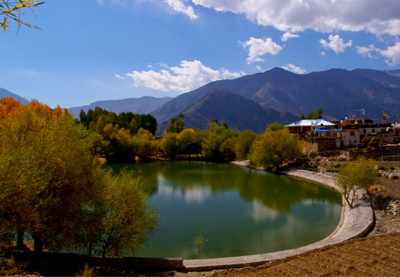 Explore the strange, exciting lake of Himachal Pradesh, Nako lake.